In the years preceding recent litigation against Johnson & Johnson for failing to warn consumers of the link between its talcum powder based products and the development of cancer, Cancer Prevention Research released the results of its own study which documented a 20-30% increase in the number of ovarian cancer cases in women who used these products compared to those who did not. The study, performed in June of 2013, did not reveal anything new. Johnson & Johnson and prominent members in the medical field knew of this link based on correspondence dating all the way back to 1982. Talc is a soft mineral that has properties which are very similar to asbestos and, in fact, much of the talc recovered from mines around the world contains asbestos, which is filtered before the talc is turned to powder. 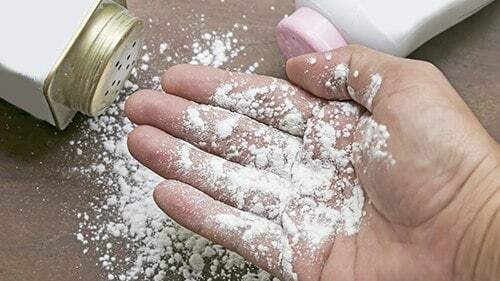 The manner in which talc impacts the human body is quite similar as well, and doctors have advised that products such as baby powder are not to be used on children because the powder can disperse into the air and cause respiratory problems when it reaches the child’s lungs. This is because particles from the powder can travel into the lungs and become lodged within, resulting in the development of scar tissue and tumors that spread throughout the lung. The mechanism for ovarian cancer due to talcum powder use is similar, except women are far less likely to notice the symptoms. When talc particles become lodged in the ovaries and abnormal cells begin to form, there is little discomfort and the presence of a tumor is difficult to detect visibly and by touch. By the time a mass is noticed or the patient notices discomfort, the cancer cells have had the opportunity to metastasize, or move to other areas of the body. As with all forms of cancer, early detection is the key to treating ovarian cancer and may be the difference between a 90% chance of survival and 30%. This is why so many women who are diagnosed with ovarian cancer ultimately meet their demise. About 20,000 are diagnosed each year and 14,000 of them die as a result. Women who are concerned about their risk of ovarian cancer are advised to undergo regular screenings, even if they feel perfectly fine. The tools doctors use to identify and diagnose ovarian cancer include CT scans, ultrasounds and a blood panel that searches for the presence of CA 125— a protein that is produced by cancerous cells contained inside the ovary. Once diagnosed, the doctor will determine which stage the cancer has progressed to, with lower stages having greater survivability. Stage I is diagnosed when the cancer is limited to the ovaries while Stage II is diagnosed when the cancer cells have traveled to the other pelvic organs. Stage III and IV ovarian cancers have traveled to the abdomen and other parts of the body and are extremely difficult to treat with much success. Dr. Cramer, a Harvard epidemiologist, discovered the link between talcum powder and cancer in a study he conducted in 1982. When he released the results, Johnson & Johnson contacted him to discuss his observations and evidence. His suggestion was that the products be taken off the market and an alternative used in place of talc. Despite these assertions and 21 more studies over the last 30 years that confirmed Cramer’s conclusions, Johnson & Johnson continued to market the products without so much as a warning to consumer. Key groups such as the Cancer Prevention Coalition and Cancer Prevention Research have been advising against the marketing of these products for the last two and a half decades. An internal memo recovered during the process of litigation even revealed that one of Johnson & Johnson’s own medical consultants determined that the link between talcum powder and ovarian cancer was without dispute. Thousands of women and the families of many who have died from ovarian cancer are now beginning to come forward to demand justice and accountability from Johnson & Johnson for its callous and insipid deeds. Rosenfeld Injury Lawyers LLC is currently taking on clients who have developed cancer or lost a loved one due to the long term use of J&J’s baby powder and Shower to Shower products. Contact us today to arrange a free consultation with one of our award winning Chicago talcum powder liability attorneys so that we can gather all of the information we need to investigate your claim and review your legal options with you. We will answer any questions that you have about the legal process and how best to proceed with your case. If for any reason we are unable to secure compensation on your behalf, you are ensured that our services will cost you nothing. For a comprehensive list of talcum powder lawsuit FAQ's, look here. For the latest on talcum powder litigation, look here.